Athletes tend to be the ones that visibly display this focus, however, all individuals that have succeeded in the upper realms of their field no what it is to have this supreme confidence in the outcome. The ability to see task through is one that will allow you to master any and everything. Whether you are mastering an instrument, horseback riding, or just trying to make the fanciest drink at the bar, you have to enter a state that blast through any resistance in your way and quiets your subconscious mind of defeat and self-doubt. Chances are, you have entered this state of mind. Whether you were studying for the SATs, GREs, a final exam that you had to pass or about to go out for an audition, submit a book proposal, or release a new song, you already know what it means to have this grim determination. It’s the underlying belief that “If I don’t get this done, nobody is going to do it for me.” It’s a sense that you need to control your emotions from becoming overly happy or overly sad. That you will survive whatever obstacles come in your way. Despite the fact that this is a movie about football, the speech can be applied to anything you hope to accomplish whether its lifting a weight, sticking with a diet, getting into grad school, or simply resisting the need to go out when you know you have to get something done. 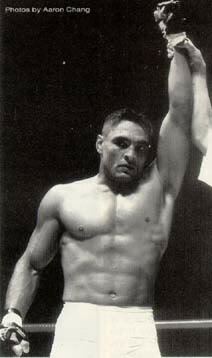 Rickson Gracie, arguably the BEST practitioner of Brazilian JiuJitsu has the look of "grim determination." Even after winning the fight, he remains calm in seeing the outcome through to the end. I like to think of myself as an “Optimistic Realist”. I hope for the best but prepare for the worst. It’s this type of mental toughness that will pull you through tough times. How far are you willing to fight and die for that inch? Apparently I need to watch more women’s pole vaulting. Sweet Lord. Let us hope for Mankind’s sake that she won that college scholarship!